Welcome Home! Split floorpan with open living spaces great for entertaining. Updated master bathroom in 2016 offers marble shower floor, frameless shower enclosure, garden tub, and custom cabinetry which provides tons of storage. Spacious walk-in closet in the master retreat. Updated guest bathroom in 2013 which offers a refreshing feel with well appointed updates. Amazing screened-in porch in 2014 with custom textured concrete and picnic table included. lots of important updates you won't need to worry about like blown in insulation in 2010, newer kitchen appliances in 2010, newer A/C compressor and air handler in 2013, double pane low e windows in 2014, hurricane sliding door in 2015, water heater in 2016, back porch re-roofed in 2017, outdoor storage shed in 2017, houses exterior freshly painted and garage door serviced in 2018. Attic is also partially decked for added storage in 2018. Great turn-key house you can call home in a great neighborhood. Lots of wonderful updates to make this home move-in ready! Close to Greenwood Lakes Park and Library. Zoned for A-rated schools. 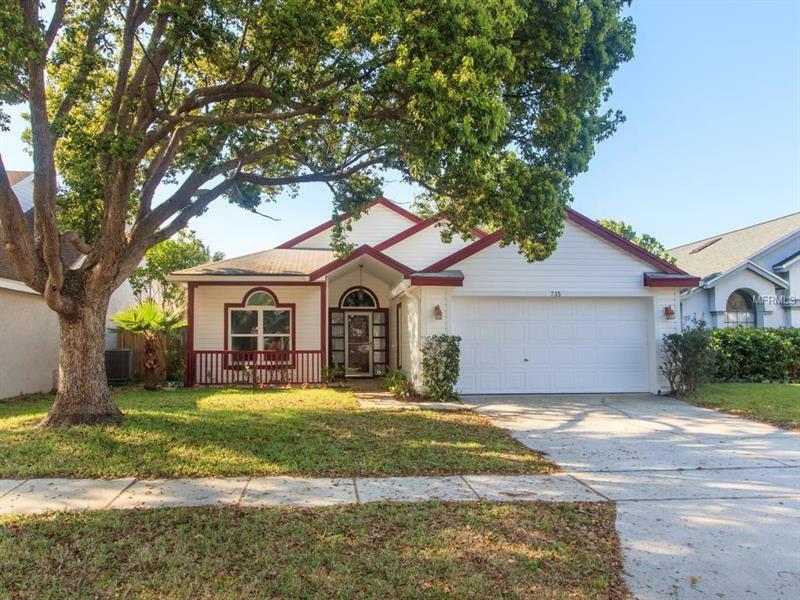 Near I-4, Florida/Croos-Seminole Trail, parks, restaurants, and shopping. Book your appointment today.